How odd is it. I don’t even use a landline anymore. Primarily because of the annoying telemarketer calls, but also because I don’t need it anymore. Most of my calls go through my cell phone, and I have to pay less at the same time. I’m thinking of cutting my cable TV connection as well, only I couldn’t live without National Geographic some place, so I’m forced to put up with it. Oh, summer. Wish it was here now, in this freezing LA weather. I wish it were summer, too. As for the landline, I still have mine, useless as it is. Sigh. As for cable, let me know if you do get rid of yours and how it goes without it. I may follow. Thanks for stopping by! 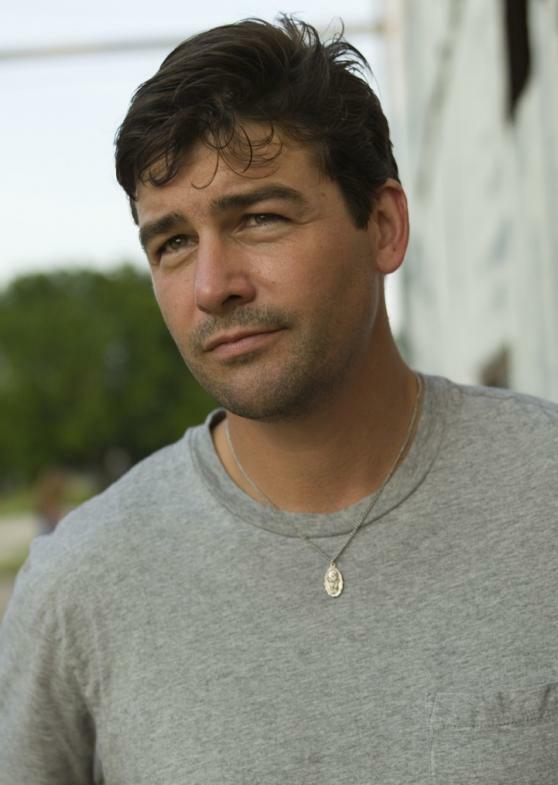 I’ve loved Kyle Chandler ever since I first saw him on Homefront, and then Early Edition back in the 90s! I only watched Friday Night Lights a couple of times…couldn’t get into it. Does anyone remember him in waaaay back when he was in that show….I think it was 30- Something? I think that was the show…..please someone tell me if I’m wrong and steer me in the right direction. No, he wasn’t on Thirty Something, but he was on a show called Evening Edition (which I never saw). Is that the one you were thinking of? Congrats on the 100th post Monica! I hit the mark last month and was surprised- they grow up so fast, don’t they?! Have to ask- because I too love all things lemon- who makes a lemony hummus? I read that 2 minutes ago and am already obsessed. Thanks for adding a new fear (being burried alive) to my long list and also for giving me two great distractions from my worries, FNL and Super 8. Can’t wait to watch! Must be nice living on an island. I live in Southern California and though it’s mostly warm throughout the year, we have our seasons, as subtle as they are. Thanks for stopping by! Here from the tea party! I’m glad I came across your blog. 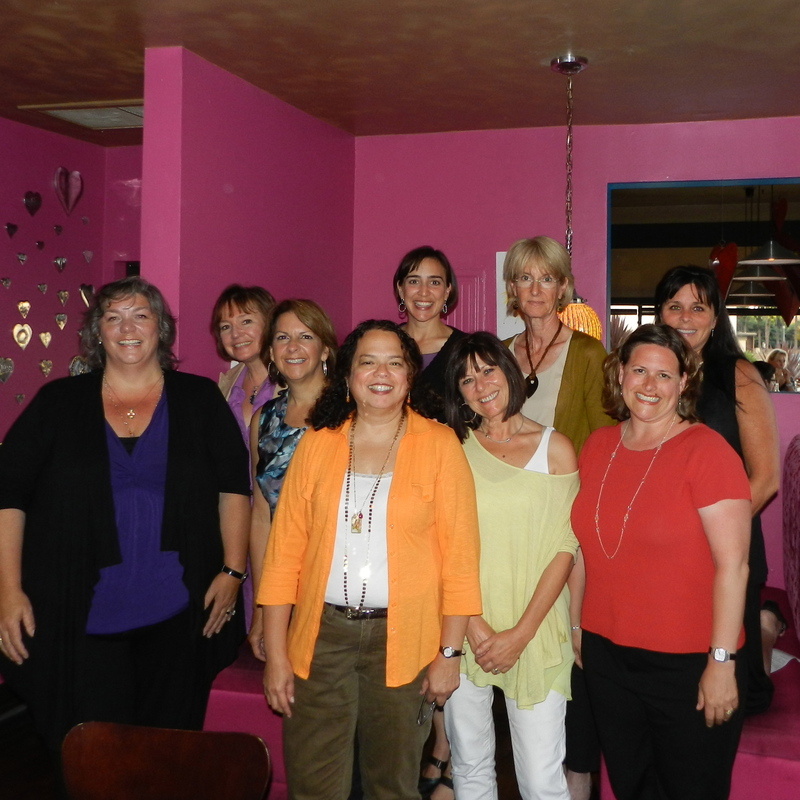 I’m going to BlogHer too! I saw Super 8. I did not know anything about it before I saw it. My husband dragged me to it and I was less than pleased because I heard it was like Transformers (haha!). Anyway it ended up being a great movie. A cross between Goonies and ET! Loved it. I’m so glad your hubbie made you see it. It really is a crowd-pleasing movie, ideal as a summer escape. I haven’t seen Goonies, so I didn’t make that connection. I love summer. My mind is constantly focused on beach days during the summer. I can’t get enough of it. You randomness was hilarious. Your dog sounds like a hoot. My MIL had several King Charlies Cavilers. They are very cute, funny dogs by nature. I’ve never watched FNL, but Super 8 looks fantastic! Is it appropriate for a 10 year old? FNL is available on Netflix instant playing. So you can watch them all. Some episodes of FNL are also available online. Super 8 is really a kids movie. The focus is a group of kid who are making a movie about zombies, and inadvertently capture on tape something bizarre. If I remember correctly there may be some cursing. But other than that it’s fun, exciting and the kids end up saving the day! Really, think ET and Stand By Me and add Close Encounters. Let me know what you think. It’s winter here so thoughts of summer are far far away. We don’t get all your TV shows here and often the DVDs don’t work on my machine so I guess I’ll have to wait for FNL to arrive. I do agree that Kyle Chandler is hot (that coming from a 70+ grandmother). And did you know the phrase for whom the bell tolls came because they used to bury people with a string around their little finger that was attached to a bell. If the person wasn’t actually dead then they could ring the bell. Hopefully, there was always somebody on hand to dig them up. Don’t know where I got this bit of information but as my kids say, a fund of useless information. Enjoy summer while we freeze. Fascinating info about For Whom the Bells Tolls. Ok, it’s time to bring that tradition back! Happy Winter! May Jack Frost come to your home and stay for a long spell! 🙂 BTW, you can watch Friday Night Lights online! FNL is sacred TV watching. Truly must-see TV. I make no secret of my infatuation with Coach Taylor. But one thing few know, is about my secret crush on Tim Riggins. Talk about your bad boy gone even badder! Now here’s a guy I’ll follow to any prison, if you know what I mean! Henry’s on the mend, but unfortunately something he ate, I think, has given him the runs, which he’s unleashed in my house! I have a hotline to my carpet cleaner and he came out stat, to clean up the mess. Oh, Henry. What’s a mother to do?? The San Diego crew looks like they had a great time! I live in Los Angeles but had to work. Hey, love Kyle Chandler and congrats on your 100th post. That truly is something to celebrate! 3. Buried alive = my worst nightmare. 4. I heart lemon-flavored Propel, and only one store in town carries it. On the other side of town. Ugh. 5. CONGRATS TO YOU! I’ll have a stiff vodka cranberry (with a lemon twist) in your honor! Love your list. Let me know what you think of the movie, which is great family fun, if you ask me. Vodka cranberry with lemon twist sounds delightful and ultra summery. Pour one for me, too! Congratulations Monica! What a milestone! Love the recommendation for Super 8! Great to hear what is happening in your world as summer begins to gain momentum. Thank you, thank you. Yes, after seeing Super 8, I know that summer is off to a great start! I caught Super 8 while my Little was here. We loved the kids so much we were content with the movie on their behalf, but found the movie unsatisfactory in other regards. Still, did I mention the kids? Loved ’em, and the movie pleased me as a result! Thanks! I found Super 8 to be the perfect summer movie–you just can’t take it seriously, but, rather, enjoy the ride. Much better if you just take it at face value. I had no idea who Kyle Chandler was until I read this. Thanks for the recommendation on Super 8 and yes, it was a good time at the She Writes meet-up. And I still think you should cancel your landline. You never use it! I recommend you watch Friday Night Lights on dvd. It has been the BEST thing on commercial TV–gritty, great story lines, excellent cast. Oh, and they play football once in a while but I hardly notice. I’m so glued to the characters and I love how they portray the marriage of Coach Taylor and his wife, Tami. Such a loving, smart couple. I’m sad to see it end. Oh, and I’m leaving my provider and switching to my cable company for my phone. I can’t give it up because I’m attached to the phone number! Go figure. A woman after my own heart – a stream of consciousness entry. This seems to be my curse, but you make it appear as a gift. Loved your random thoughts and now you make me want to see Super 8, which before your post I had no desire to see. Happy 4th of July! I saw Super 8 with my kids and LOVED it. It’s the perfect summer flick, set in the 70’s which makes it so nostalgic, too. The entire cast was perfect, especially the kids. And, of course, my man, Kyle Chandler. A must see! Isn’t there some car commercial that says human beings have around 300 thoughts a day? Right now I’m thinking about potato salad–yes, it makes sense. That’s what I’m bringing fo a 4th party. Is there? Well, I think 300 is on the conservative side. I have trouble keeping up with all of mine, which must be closer to 1,000. And yes, potato salad sounds perfect for a Fourth of July party. Looks like the San Diego crew had a great time! Thank you! I think he’s under appreciated, and I base this on the fact that few indeed have ever watched Friday Night Lights, so they have no idea how dreamy he really is. They’re loss.